Ready for some multi chrome scattered holo awesomeness? Here’s Milky Way by Dance Legend. It’s from their Galaxy Collection. This beauty has many different faces: This is one easy coat over a black base. I don’t think this one needs much explanation… So no bla bla… Let the pictures do the talking 😀 The Galaxy Collection is available at Hypnotic Polish or directly via Dance Legend. 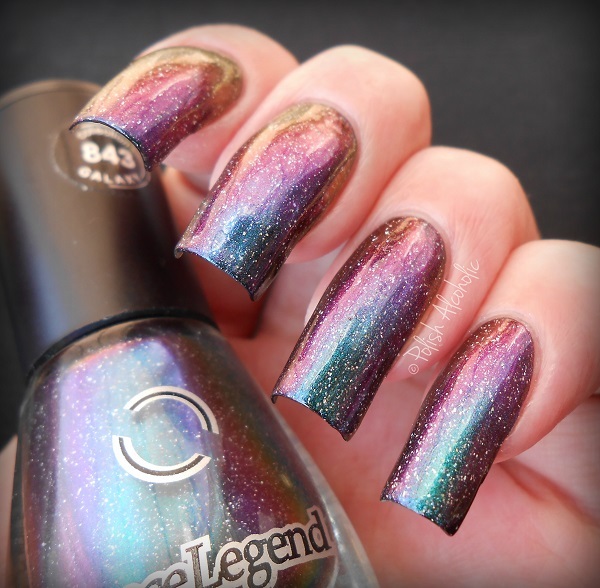 This entry was posted in Dance Legend and tagged blog, dance legend, dance legend 843, dance legend galaxy, dance legend milky way, multi chrome, nail polish, polish alcoholic, review, swatches by Polish Alcoholic. Bookmark the permalink. Wow! I adore Dance Legend! Nice pics! Gorgeous polish. I would love to get my paws on one of these! 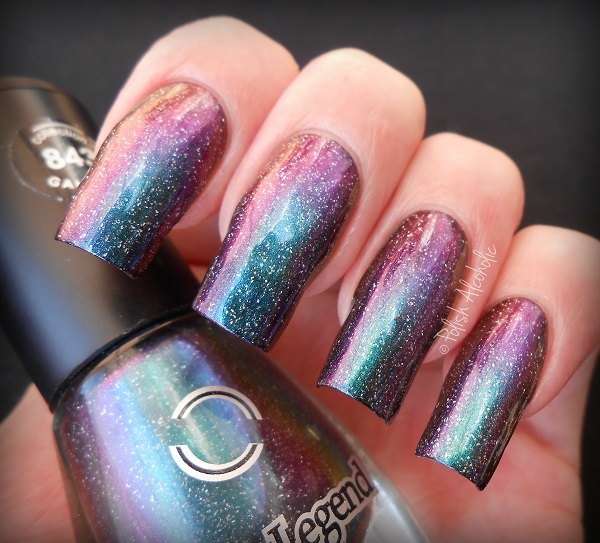 Omg, this has got to be one of the most beautiful polishes I’ve ever seen! This is gorgeous, I think I just fell in love into this colour!